Sign up using the form or call 216-251-9585 to make your appointment. Welcome to Kamm's Corners Chiropractic! Welcome to Kamm's Corners Chiropractic, where your best care is our number one concern. We combine chiropractic and rehabilitation therapy to provide our patients with faster, longer-lasting relief from pain. The importance of prevention should not be overlooked. To achieve total wellness, we believe it's vital that you become involved in your own recovery. The best results come from a combination of chiropractic adjustments and living a healthy lifestyle. Kamm's Corners Chiropractic is an important partner in your care. 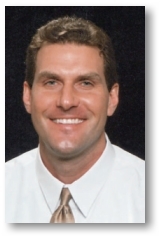 At your first visit to Kamm's Corners Chiropractic, Dr. Jon Wronko will explain the science behind how chiropractic care works, and give you a full evaluation to see if chiropractic care is right for you. If there is a good fit, we can develop a plan of chiropractic care that is specific to your condition and health goals. If you are new to seeing a chiropractor and want to find out more, please email us or call (216) 251-9585 to receive personalized answers to your questions from our friendly team. We also welcome referrals, so we invite you to share our chiropractic and wellness information with your friends and loved ones.